That was the quote from the romantic comedy. I think I’ve seen that same basic scene in dozens of movies and TV shows. Usually the ones where there is the whole love-hate theme going on where the lead actors start out hating each other and then end up in love. That whole “Much Ado about Nothing” theme Shakespeare loved so much. For some reason today I stopped to ponder that statement longer than was probably warranted and thought: That’s just wrong. Apparently Shakespeare and these other writers seem to think this sentiment is romantic. What the hell? Did these guys actually ever engage with with real people, with really angry people? The answer is obviously not. 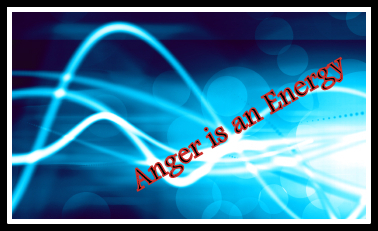 Anger is a seriously negative emotion. It isn’t fun to be around. Sure, there are ranges of anger but I don’t think any of that range shows up on the positive side. So these writers are telling me they think it is romantic to be attracted to something negative? That’s messed up. I mean I know we’re often attracted to people that have negative qualities because we all have some. Yet I used to think we were attracted to people in spite of their negative qualities not because of them. Perhaps I’ve gotten it wrong though. Shakespeare was a lot smarter than me after all. And those witty exchanges between the characters is so captivating. I might have to re-write my Match.com profile: Looking for angry person; sharp tongue a bonus; villainous love-to-hate mystique and infuriating personality a must. This entry was posted in Personality and tagged Anger, anger is an energy, Much Ado About Nothing, negative emotions, Romantic comedy film, William Shakespeare. Bookmark the permalink.